Jumping out of a plane almost always finds itself on a bucket list alongside traveling the world, adventure sports, and volunteering. Skydiving is growing in popularity with extreme sports pros turning a one-time thrill into a casual weekend activity. But what makes this adrenaline jump most spectacular – aside from the 60-second free fall at 15,000 feet high – is the view, whether it be of soaring mountains, sprawling tundra, or crystal clear waters. So we’ve compiled a list of the best skydiving locations, or ‘drop zones,’ in the United States. Tropical blue waters, white sand beaches, lush forests – fewer places in the US can stand up to the beauty that is the Aloha State. And what better way to experience the Island’s remarkable scenery than with a bird’s-eye view. Skydive Hawaii offers jumps from 12,000, 14,000, and 20,000 feet – the highest jump on Oahu, with 100 seconds of free fall – while Honolulu’s Pacific Skydiving Center features 10,000- and 14,000-foot-high tandems, both fit with views of the entire island from the North Shore to Pearl Harbor. When looking to book a dive, heading towards the Arctic Circle may not be the first idea that comes to mind. But Alaska – with its snow-capped mountains, colossal glaciers, and unreal natural scenery – has some of the most diverse terrain in the nation. A prime destination for outdoor activities, Anchorage is also a gateway to experiencing the beauty of the Last Frontier from 10,000 feet in the air. Alaska Skydive Center ascends over Denali National Park, North America’s highest peak, before dropping divers over the pristine waters of the Cook Inlet and the surrounding wilderness. A key player in a memorable skydiving experience is, of course, the view. And it’s hard to compete with a panorama of the Atlantic Ocean, Gulf of Mexico, and a string of islands known as Key West, adjoined by the Overseas Highway. Plus, falling from two miles in the air offers unparalleled views of the state’s treasured coral reefs, encapsulated by chromatic waters. Skydive Key West‘s dives reach speeds over 120 miles per hour; upon pulling the parachute, revel in the life-changing views as you float above the Keys. When it comes to drop zones, nothing beats forested peaks, alpine lakes, and winding rivers. Pennsylvania Skydiving Center, a short drive from New York and New Jersey, offers an escape from the hustle and bustle of city life with a drop over the foothills of the Poconos Mountains. Guided by instructors from the oldest USPA member skydiving center in the world, descend over the lush greenery of Pennsylvania, or opt for a fall dive when the foliage is set ablaze with colors of orange and red. Leaping out of a plane in Utah offers unsurpassable views in every direction. 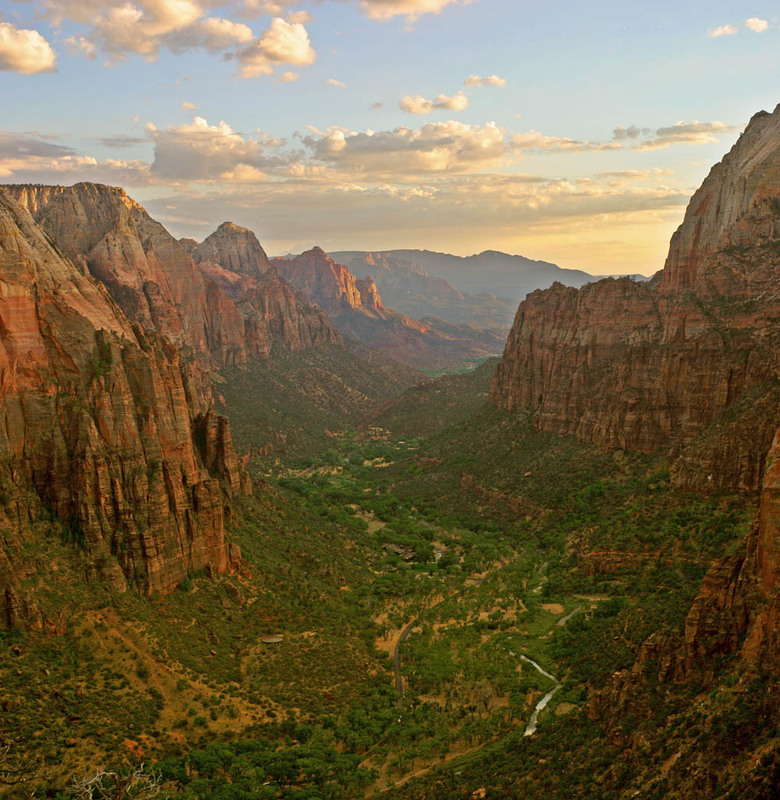 But do not forget about the state’s awe-inspiring Zion National Park with its steep red cliffs and forest trails. The preserve beckons naturalists year-round for hiking, biking, camping, and good weather. But thanks to Skydive Zion – which boasts a perfect safety record – Zion’s allure can be encountered from an unusual perspective: miles above the Earth. 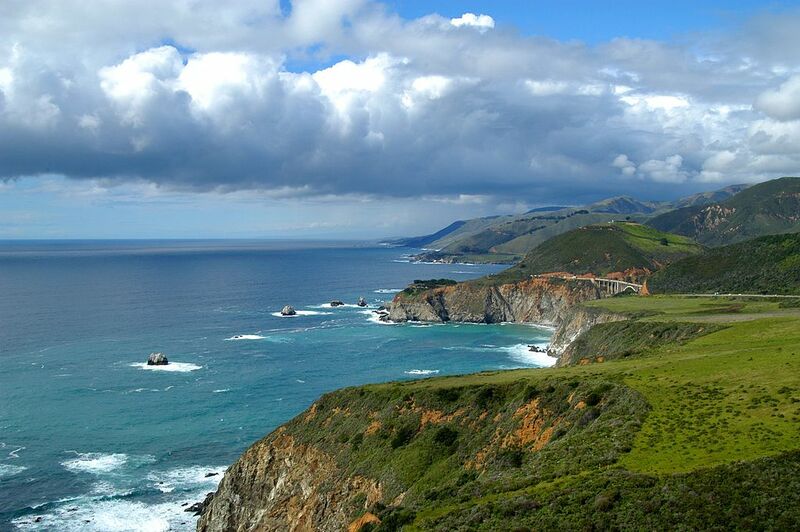 It’s true – California‘s coastline boasts some of the most dazzling scenery in the US, from craggy cliffs with sandy shorelines to the deep blue waters of the Pacific Ocean. With views stretching from Carmel to Santa Cruz, why not take advantage of the West Coast’s beauty with a drop over the Monterey Bay? Skydive Monterey Bay offers jumps at 18,000 feet, flying and landing closer to the ocean than any other DZ in the state.